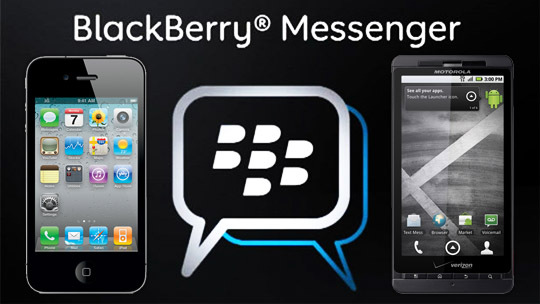 Blackberry is recently rumored to cut out BBM messaging service and make it a whole new company to multiply its value. A ‘The Wall Street Journal’ report mentions that the new subsidiary would be named BBM Inc. However, no hint is seen of making the move right away. BlackBerry is currently working on outright sales and other options to revive the smartphone company. BlackBerry is still struggling to make a global impact on the smartphone market. By the end of June 1, 2013, its revenue rose 9 percent to $3.1 billion. Revenue from APAC, including India was advocated an increase of 35 percent sequentially. The smartphone maker was seen reporting a loss net loss of $84 million due to the poor performance of BlackBerry 10. The instant messaging service has about 60 million users sending around billions of messages each day. According to a recent Strategy Analytics, Apple, Samsung, LG, HTC, Sony and BlackBerry was ranked the top smartphone makers based on market share in Q1 2013. BlackBerry, according to a Reuters report, has already reallocated internal resources and personnel to work exclusively on fine-tuning the BlackBerry Messenger service ahead of its launch on competitors’ devices. It is expected that BBM for Apple’s iPhone and devices using Google’s Android will be available in the next few weeks. BlackBerry too added video calling over Wi-Fi to enhance popularity of its instant messaging service. The company has also announced its upcoming plans for BBM Channels. It will allow advertisers to promote special deals to target markets narrowly. BlackBerry is also thinking of making BBM available for home PCs. Earlier, BlackBerry said it was looking into options for the company and that could even include an outright sale.